Since the holidays include some of the busiest travel days of the year, why not cover some basics of healthy eating on the road? But first, make an effort to wake up just a little earlier (even 30 minutes will do) to get that work out in. This will he lp curb cravings on the road and also energize you for hours behind the wheel. Endorphins released during exercise cause euphoria, modulation of appetite, and enhanced immune response. At least for me, I’m more likely to stick to an exercise routine through the weekend if I begin my holiday this way. You’ll remember how good it makes you feel! Don’t worry, we know you’re going to be rushing around grabbing everything you’re at risk of forgetting. This won’t take much! Plus, it will save you from stopping too much on the road! 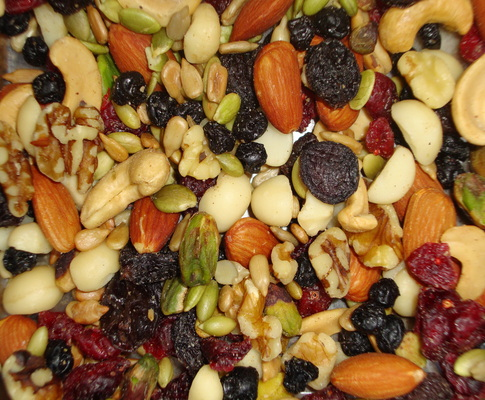 Trail Mix: pack a bag of almonds, raisins, pistachios, walnuts and cranberries. This snack packed with protein, fiber, and disease-fighting antioxidants will fill you much longer than a bag of chips. Hummus & Veggies: arrange mini zip-locks with 6 baby carrots, 10 sugar snap peas (or green pepper strips), 6 cherry tomatoes. Put hummus in a Tupperware for dipping! Greek Yogurt: creamier and more nutrient dense than regular yogurt, even fat free Greek yogurt is delectable! With an average of 16 grams of protein in a 6oz. serving, it will keep you full and even satisfy cravings for sweets! 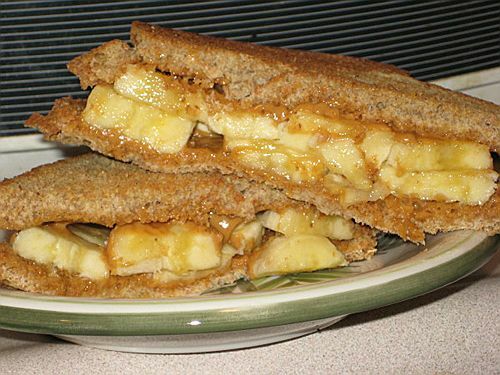 It comes in a variety of flavors, and is great plain or topped with nuts and/or dried or fresh fruit! 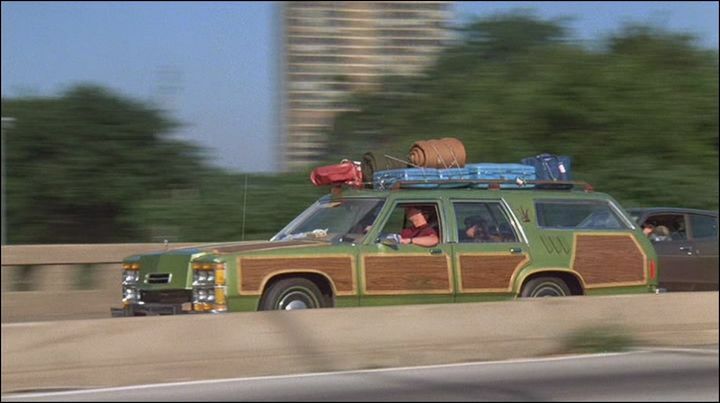 2) When stopping at a drive-in or restaurant…. If you’re really avoiding an ingredient in particular, keep in mind that certain ingredients are frequently used in restaurants, even when we wouldn’t expect it. When in doubt, ask! Choose dressing wisely. Several are packed with either added sugars (especially the “fat free” ones) or saturated fat. If possible, choose oil & vinegar or Italian. Next best: balsamic vinaigrette. Try to choose a salad with more vegetables, nuts, and fruits over bacon, and other less healthy toppings. 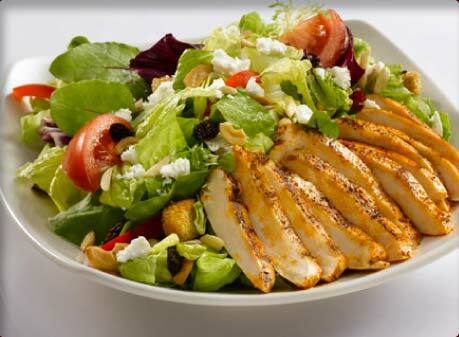 (If you’re not careful, a salad can have more calories and saturated fat than a cheeseburger! Choose water or unsweetened tea for beverages. A can of coca-cola has 39 grams of sugar (140 calories). Don’t dismiss drinks from your intake. A 20oz cup of Nestea’s Raspberry Iced Tea (popular at soda fountains) contains 30 grams of sugar (125 calories). Putting it in perspective: 1 glazed Krispy Kreme donut has only 10 grams of sugar. So, why does it matter? Not only are these foods healthier (long-term thinking, here).. in the short term, they will make you feel better! You’ll be less likely to have post-meal fatigue (“food comas” or “carb crashes”) or experience headaches from high sugar and sodium content. *When we take in a large amount of sugar in one sitting, it spikes our insulin levels so quickly (insulin aids glucose absorption into the blood) that in one hour, the glucose in our blood has been depleted so much, that we are already hungry again! A meal with the same calories but lower sugar content will sustain satiety and keep us from over-indulgence. Thanks for stopping in and HAPPY THANKSGIVING WEEKEND!! This entry was posted in Food and Recipes, Lifestyle and tagged Dietetics, food, health, James Madison University, JMU, nutrition, travel, UREC by foodurecognize. Bookmark the permalink. Great Blog! Do you have a schedule for when you will be posting? I’d love to see them whenever you do.